XCMG-Europa is a subsidiary of the XCMG concern. Its main activity is the production, distribution and professional service of XCMG construction machinery, compliant with the requirements and standards of the European Union. As a renowned manufacturer of construction machinery, we have a modern production facility with the total surface area of 4500 m2 and 65000 m2 of land located in the village of Kompina, Nieborów municipality in the Łódzkie Province (near the Warsaw-Poznań highway). 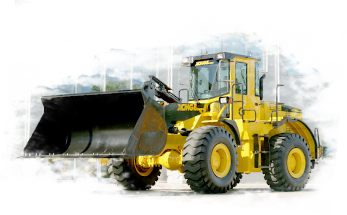 Our offer includes various types of road construction and agricultural machinery, such as loaders, graders, excavators and rollers. 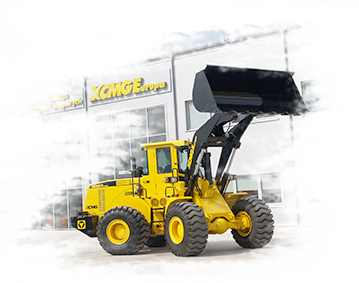 We sell construction machinery on preferential conditions, based on individual agreements with the Customer. We also provide second-hand machinery and a wide offer of machine spare parts. 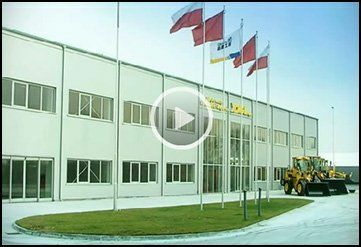 The attached film presents the XCMG construction machinery factory in Kompina, near Łowicz, Poland. You can see our modern assembly line for construction and road machinery, the paint shop and spare parts warehouse. Don’t forget to watch it. XCMG-Europa in TVN Turbo – Polak potrafi [Poles can do it]! The first episode of the 7th series of the “Polak potrafi” [Poles can do it] TV show featured the most popular construction machine in Poland – the ZL50G wheel loader (CE). The film presents the machine production process. Enjoy watching.